The lead up to Christmas is often the most enjoyable part; decorating the house, buying and wrapping presents, making advent calenders and of course filling your home with the warm smells of Christmas baking! Most of us don't have as much time as we would like to enjoy this process but there are a few simple and quick ways to make you and your home Christmas ready! 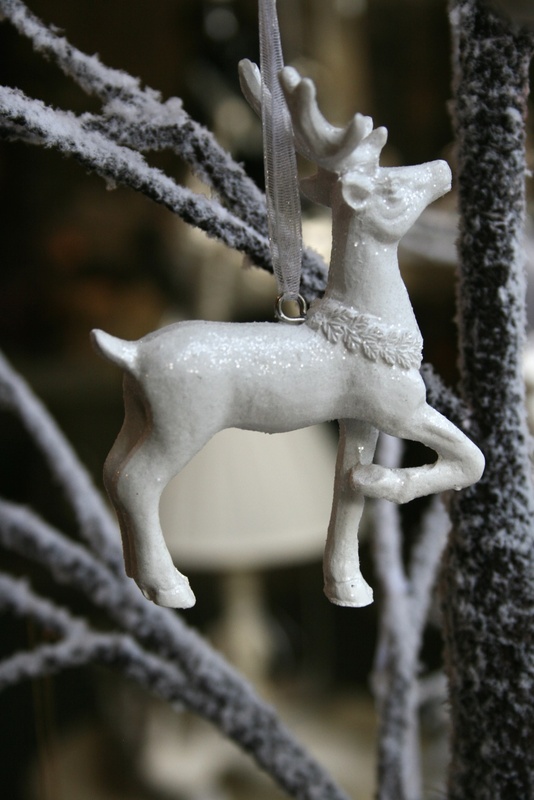 Click here to see a small selection of our Christmas decorations. Make your own advent calender this year by wrapping up small parcels and numbering them with December's dates. Fill them with chocolates and sweets or very small gifts and either display them on your mantle piece or hang them from a selection of branches with some fairy lights. Display the parcels in a random sequence and children will particularly love searching for the right package each day. If you want to display some smaller Christmas decorations but it's too early for your tree then place some garlands throughout your home and use them to hang small decorations and even strings of lights. Use your stair banisters to display both lights and garlands and place a smaller garland in the centre of your dining table with a few candle holders. At Strawbridge we have a selection of Christmas decorations, garlands, fairy lights ( both battery and electric ), gifts and much more! Visit our showrooms at the Shopping Courtyard, Mount Usher Gardens, Ashford, Co. Wicklow. 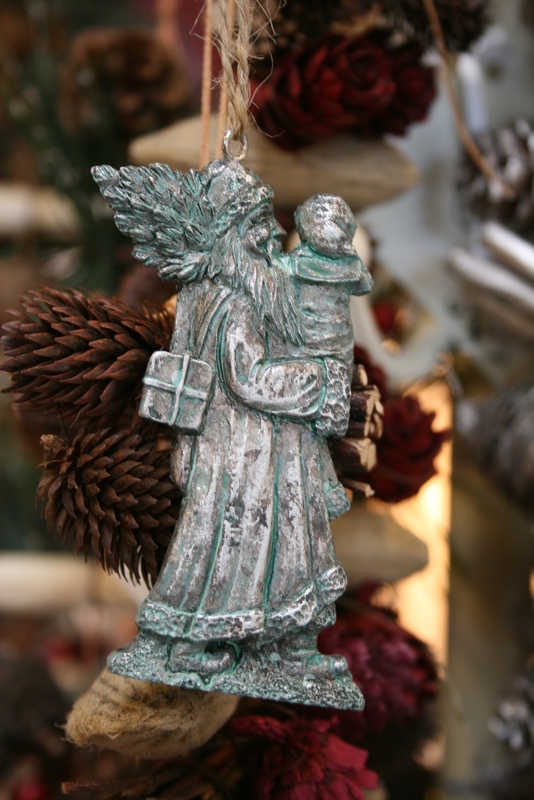 Click here for a selection of our decorations! Follow us on Pinterest for inspiration and selected image sourcing. DIY Christmas wrapping paper! Create a personalised wrapping system by using off cuts of interesting sheets of paper that you already have in the house, such as newspaper, old book pages, wallpaper samples, old magazines and even fabric. Wrap up your gifts in a few different layers and if the paper is plain enough you could draw, print or trace out the person's name directly onto it. Tie your packages up with pretty ribbons, string or twine. A nice idea is to tie in a small Christmas decoration with your bow as an extra little gift! Christmas décor doesn't have to be fussy, you can create an elegant and cosy atmosphere with just a few touches here and there. Create a rustic Christmas display by collecting a few large branches and arranging them with some pine cones, ribbon and other decorations in a large basket or bucket. Finish off the look with a string of fairy lights ideally battery operated so you can change the location of your display if needed. Bring in the best that nature has to offer and collect lengths of pine branches, holly, pine cones and other seasonal foliage. Bunch together and tie with thick ribbon for natural rustic looking Christmas garlands. 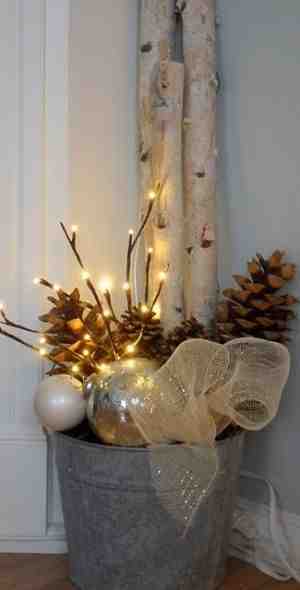 These will look beautiful as well as adding a natural Christmas forest fragrance to your home.